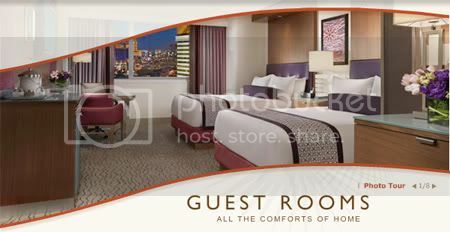 My painting made the Mirage Guest Room home page! These photos are probably getting a little repetitive for some of my regular readers, but I can't get enough of these. Even though you can barely see my painting above the nightstand I still find it really exciting! 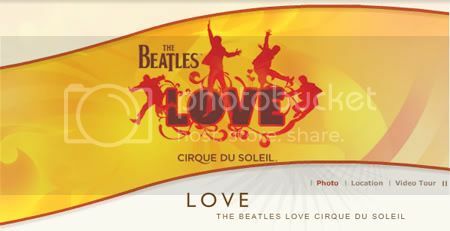 Looking around the Mirage website I came across the page for the Cirque du Soleil Beatles LOVE show. I had the pleasure of seeing this show the night before my wedding in April of 2007. My husband and I saw it with our friends and family who had flown in for our wedding. It was truly wonderful to see it with all of our loved ones! 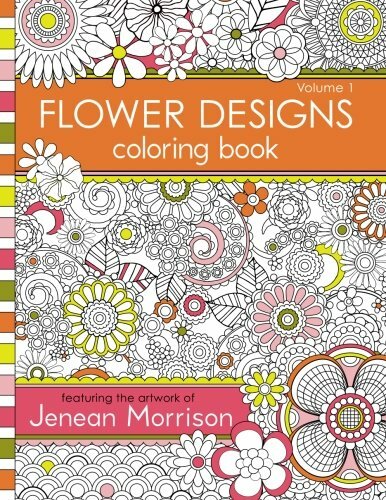 It is the most beautiful and amazing show I have ever seen... highly recommended! !